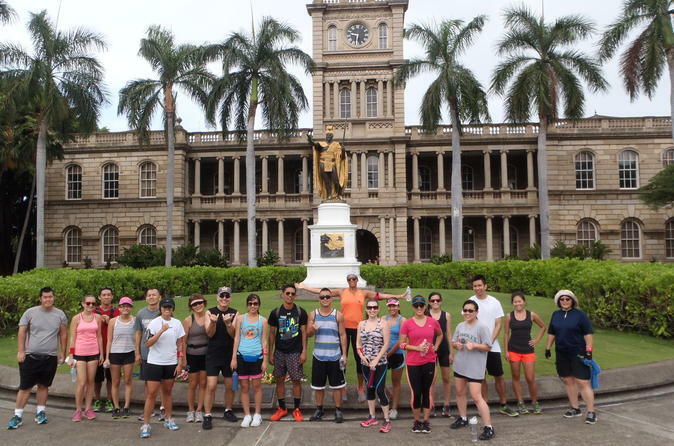 This memorable running / walking tour will take you through the historical Downtown Honolulu. Learn about the local history, culture and what makes Honolulu a diverse city in a tropical paradise. This memorable running tour will take you through the fast-changing urban Kakaako and through the historical, cultural Downtown Honolulu. King Kamehameha Statue (featured in the Hawaii 5-0 show), Iolani Palace, the State Capitol, the Financial District and the iconic Aloha Tower with it’s 360-degree view of Honolulu are few of the amazing sights along the way. Exercise while learning about Hawaii's history, local culture and enjoying the vibrant city of Honolulu in a tropical paradise.